← 100 posts: A look back with 7 Links. Yes, I know, these are techinically Chinese, but since I discovered them in Japan, I’m giving Japan all the credit. Gyoza are pork and vegetables dumplings with a very thin wrapper. In Japan you dip them in a soy based sauce, with spicy oil as desired. The ones above have been deep fried but they are usually pan fried then steamed. When prepared this way, they are served in a hot iron pan, with one side crispy, and the other soft. 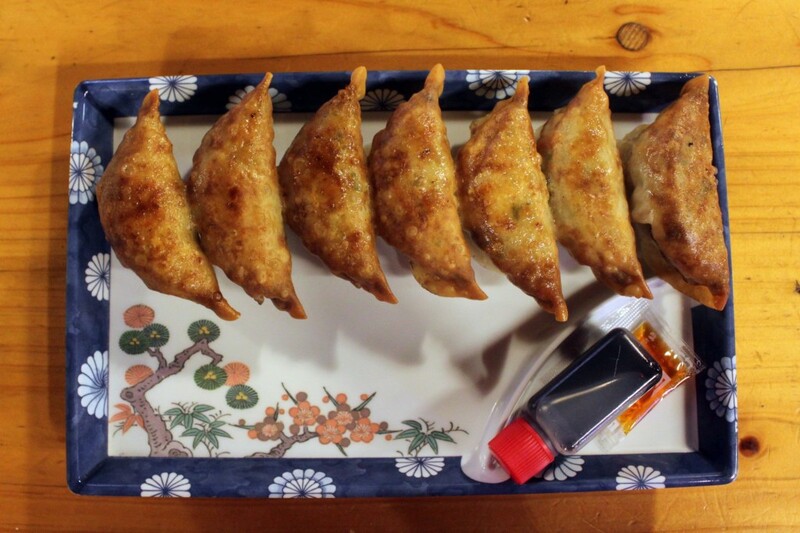 Either way, gyoza are extremely delicious, and one of my favourites here. I do the same thing with ramen.